There are many varieties of grocery coupon organizers available, which suit different needs and personality types. If you've ever gotten serious, or even flirted around with using coupons to save money on your purchases, you quickly realize the only way to do it effectively is to keep them organized. 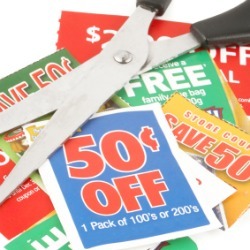 There are many strategies for using coupons, and it seems there are just about as many ways people have devised to help them find what they need. No method is right or wrong, it is just what works best for you, and your level of involvement with coupons, and strategy for how you use them. If you have used a product designed to organize your coupons you can skip down here to share your recommendations and reviews of which work best for you, and why. What Products Help You Organize Your Coupons? I've tried to find some of the most creative and helpful products out there to help us organize our coupons, but I know I cannot have discovered everything.